Our March promotion is underway. All during March, Laura will be discussing everything to do with mat boards. 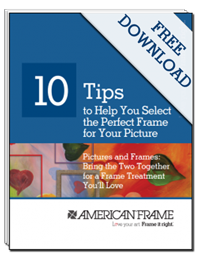 Be sure to stop in to the A Good Frame of Mind blog on AmericanFrame.com this month to connect with Laura to discuss and share everything to do with mat boards.